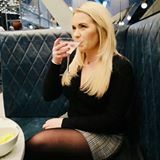 I have been dying my hair at home for years, I would love to be able to go to the hairdressers but I don't for one simple reason - I have never found one that I trust. I have religiously used Nice'n'Easy (Natural Light Ash Blonde) home dye kits for years but now and again I am tempted away by new kits or offers in Boots or Superdrug. 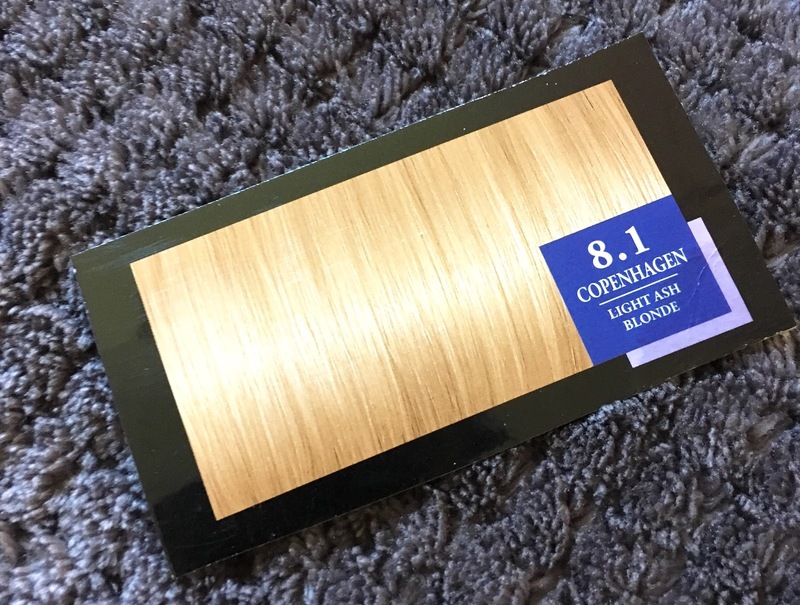 This time I was tempted by L'Oreal Preference Infinia, the reason being was that they have a Colour Extender which you apply after 3 or 4 weeks to enhance your shade which sounded great so I picked shade Copenhagen 8.1 Light Ash Blonde. 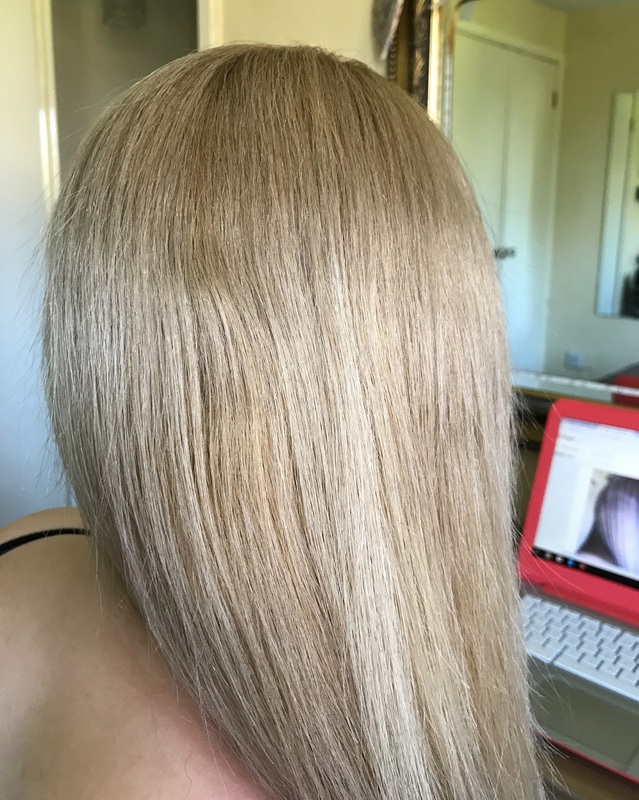 I applied it as normal and as it was developing my boyfriend pointed out how dark it was, now usually this wouldn't bother me as when I use Nice'n'Easy my hair goes a ginger shade when it's developing but this time it was going very dark! It's Sunday, I have work tomorrow and I look like a and old lady/patchwork quilt - what do I do?! 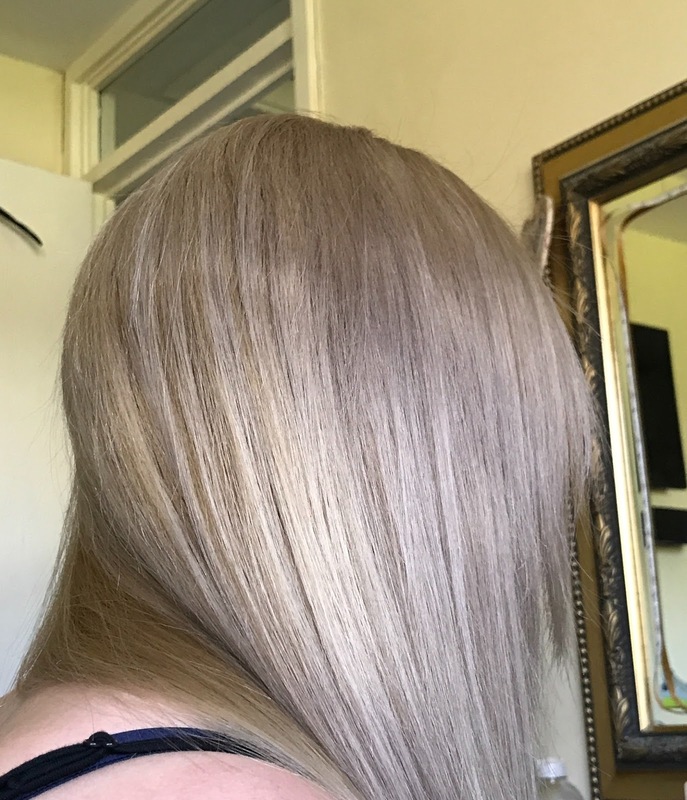 My first thought was to send my boyfriend to the shops for another dye but after a search on Google I decided that that was a very bad idea as the new dye could react with the dye on my head and create it's own colour, this was definitely not worth the risk. Then I thought about using Colour B4. I have never tried it but I have seen people talk about it online so again I took to Google to see if that was a good idea. The reviews were very mixed, it also sounded like a lengthy process with no guaranteed results so I decided against that too. NO HAIRDRESSERS ARE OPEN ON A SUNDAY! I found some information on the L'Oreal website saying to wash your hair again with a shampoo NOT meant for coloured hair so I immediately jumped in the shower and started scrubbing away. I then remembered a conversation I had with a friend years ago about using washing up liquid on her hair to strip it of product build up so I thought I should give it a go, anything was worth a shot at this point. 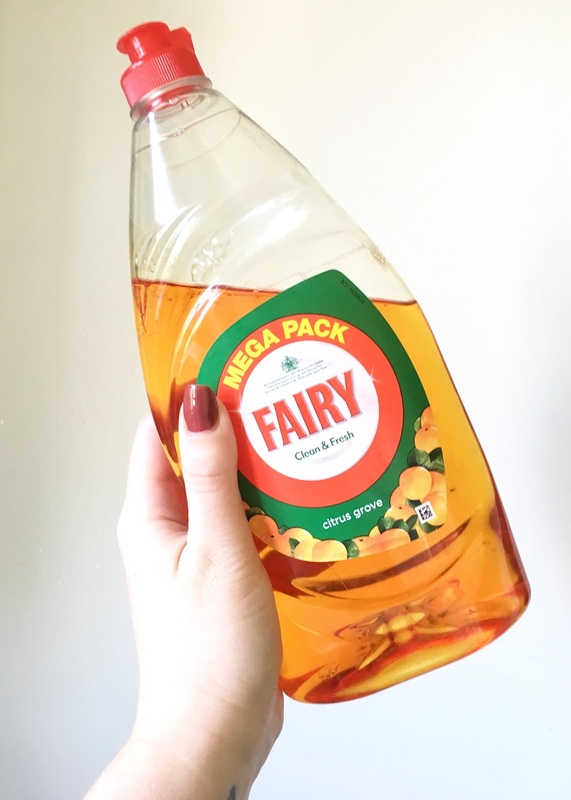 Now using washing up liquid will dry your hair out massively so I wouldn't recommend using this all of the time but this was an emergency. I used a normal shampoo sized amount and lathered it up, I could instantly tell the dye was coming out. After a few shampoos I conditioned my hair twice, leaving the conditioner in for a while each time. Did it work? YES! It has not completely stripped the colour, but it has faded it and made the colour more bearable for me until I decide to either go to the hairdressers or wait a few weeks and dye it myself with my trusty Nice'n'Easy! Please excuse the kink in my hair - I had not finished straightening it when we took this photo! 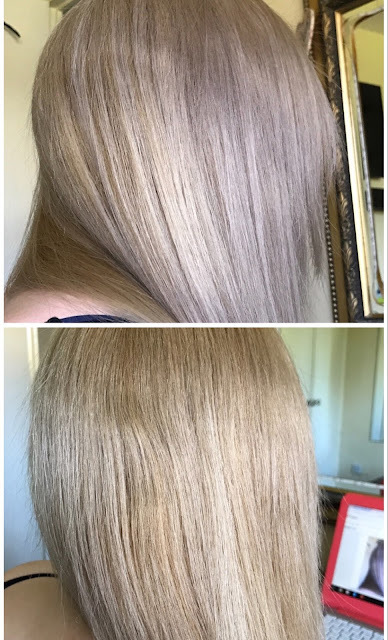 You can see that the grey tone has gone and the patchy effect has also faded. 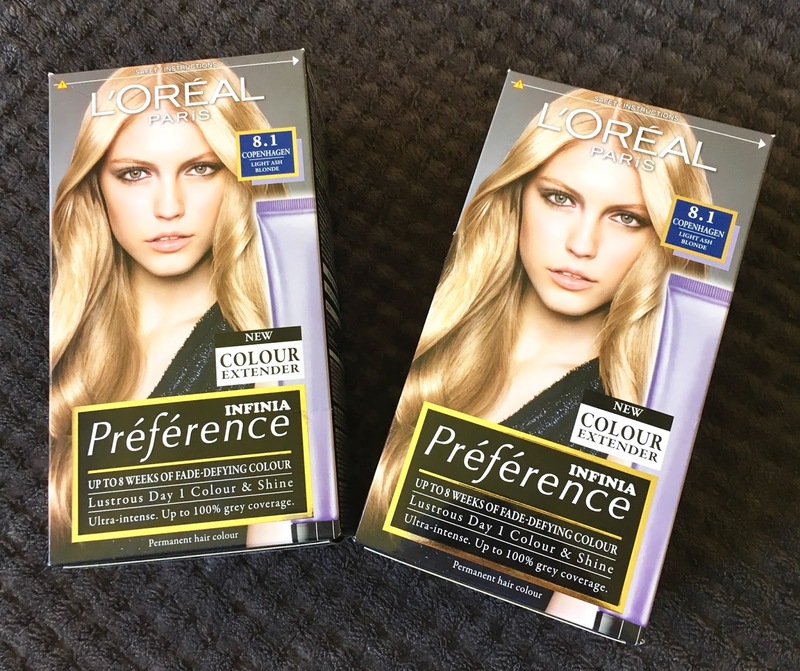 I would definitely not recommend using Infinia by L'Oreal as the shade on the box is very misleading but if you do have a hair dye disaster then run to your kitchen and grab that bottle of washing up liquid as soon as possible! 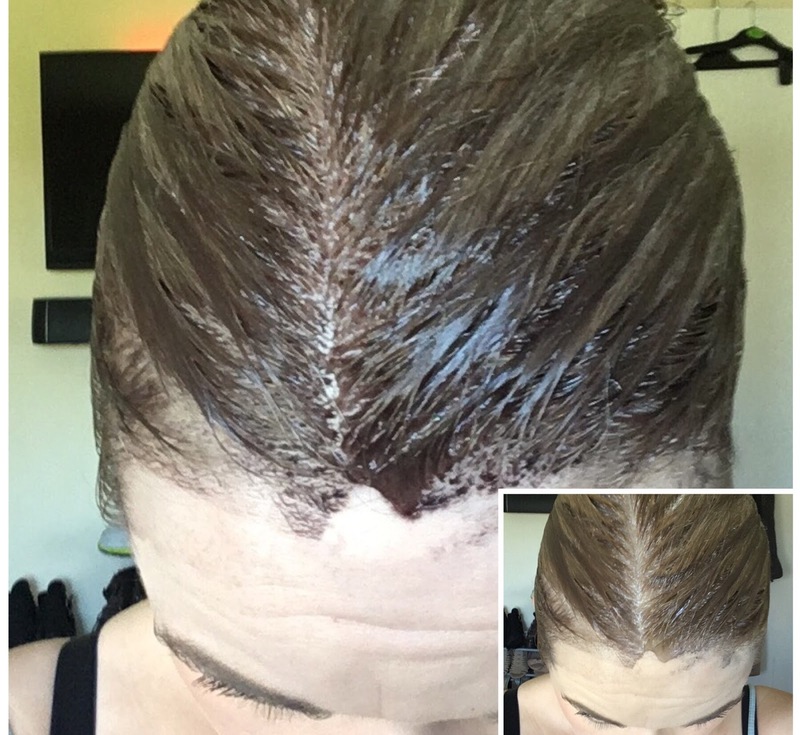 Have you ever had a hair dye disaster? What did you do?